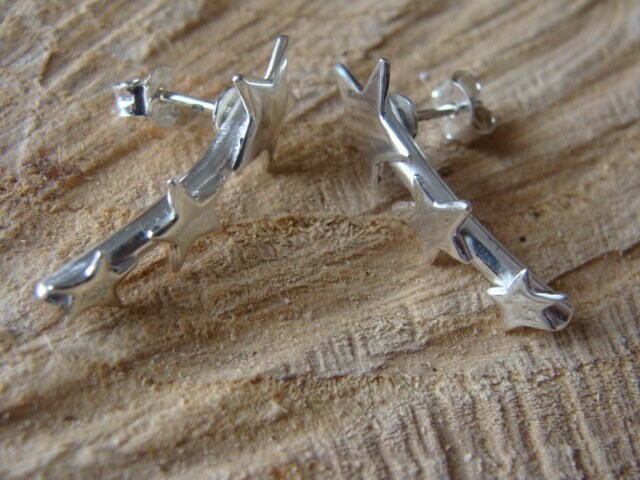 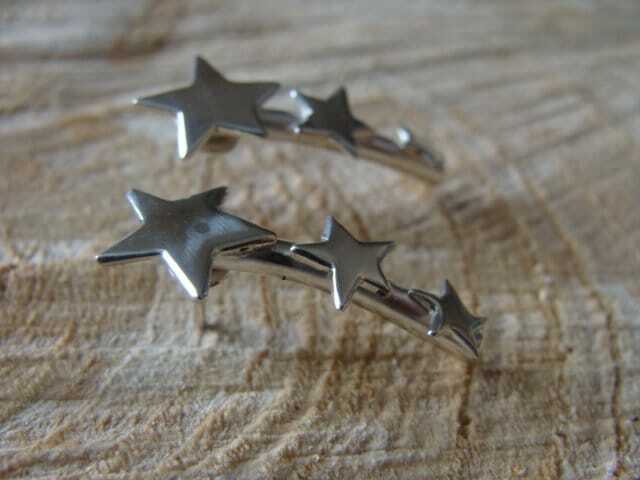 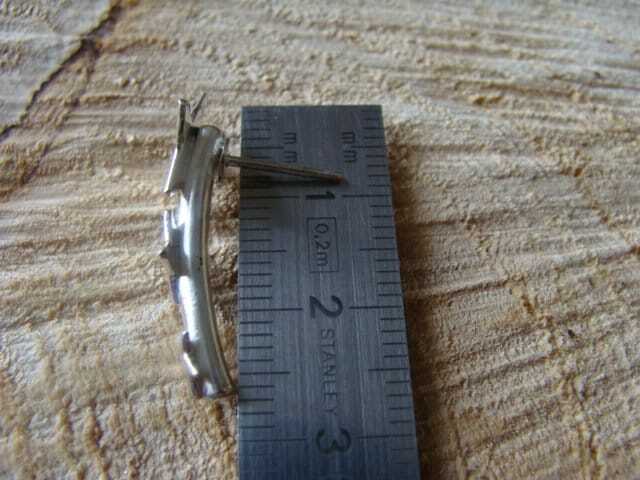 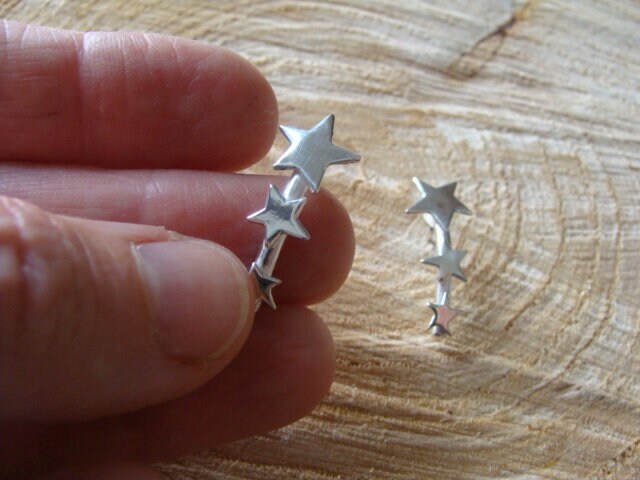 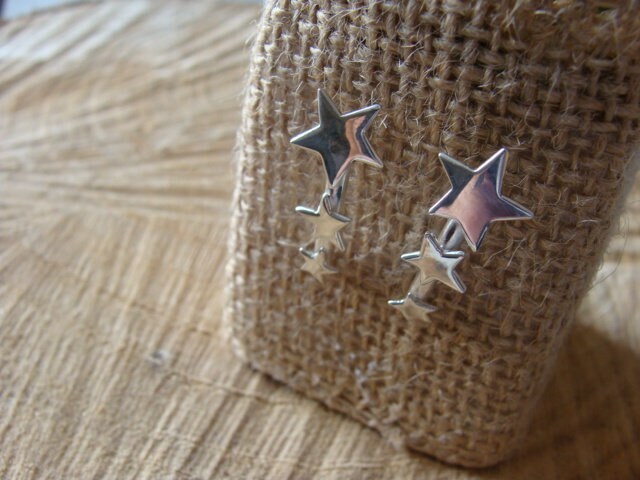 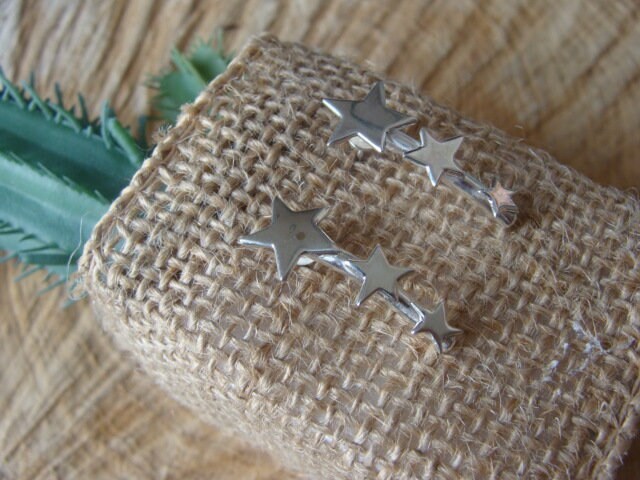 Pair of celestial earrings, composed of 3 shooting stars, in 925 ° sterling silver. 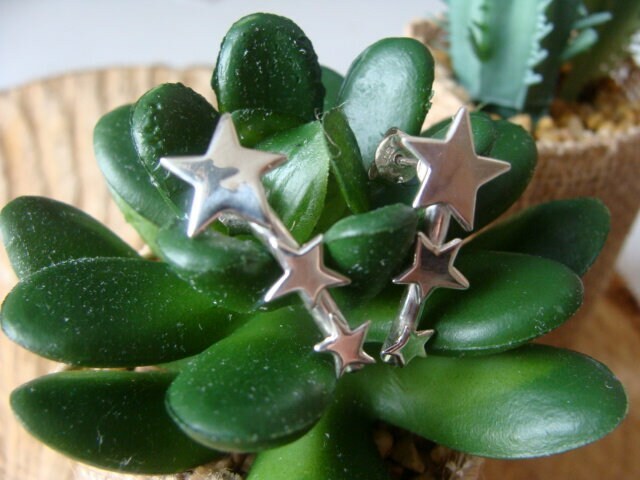 Hanging earrings, slightly convex, easy to wear and very comfortable. 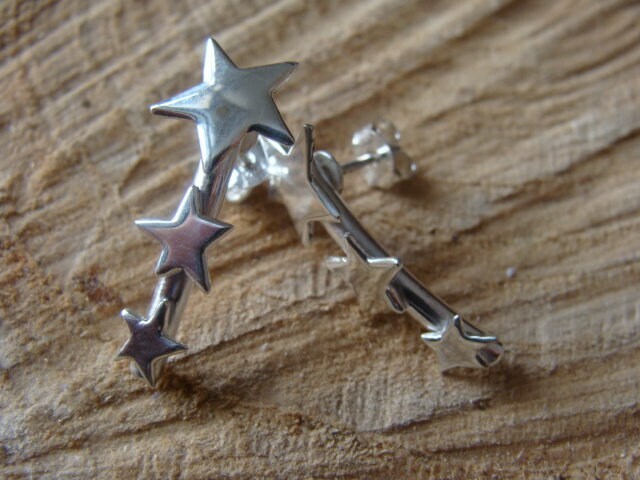 Clasp Belgian strollers in silver. 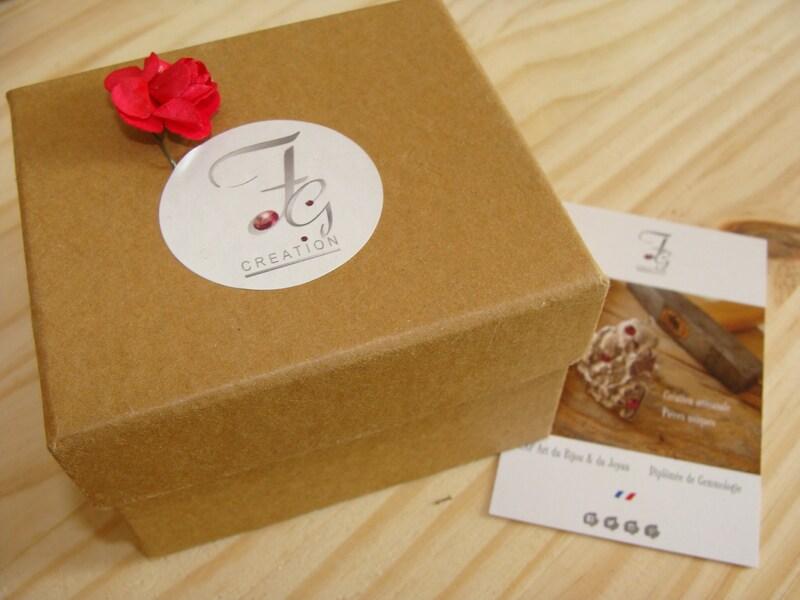 With Manufacturer's stamp, guaranteeing the precious metal and the designer.